WEIGH EVERY ANIMAL YOU CAN. The more information and comparisons, the greater the accuracy and the less likelihood of significant changes in EBV’s. 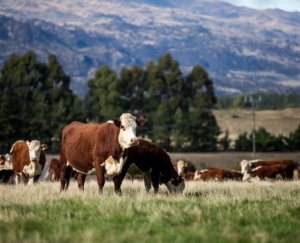 Weigh all your cattle for each weigh trait in order to maximise accuracy. Keep mobs as large as practical – the greater the number of comparisons, the better. Use common sense re Management Groups. If an animal is obviously sick put them in a seperate group to reflect this. Management groupings are VITAL. SIMPLE RULES TO OPTIMISE YOUR EBV RESULTS. Weigh all calves within 24 hours of birth. Include a management group to reflect the different levels of feeding for different mobs of cows. All growth traits from birth weight through to 600-day weights have correlated effects. Therefore if Breedplan does not have the performance data submitted, it projects EBV’s from the information it has i.e. a computer extrapolated EBV is generated. It is very difficult to get a low birthweight, high 600 day weight curve bending bull if you do not weigh for these traits and prove that these differences have indeed occurred… usually high 600 day weight bulls have correspondingly high birthweights. YOU MUST WEIGH YOUR ANIMALS IF YOU WANT TO PROVE THE PROJECTIONS FOR A TRAIT WRONG. Weigh your calves before weaning (at 150 days), in time for the February Group Run. This will give you an accurate assessment of milk. Consider your management groups to reflect different feeding levels if any. Another 200-day weight taken at weaning will enhance the accuracy of this EBV. Again consider management groups for better accuracy and milk figures. 200-day weights can be taken between 80 and 300 days of age. Any weights taken between these days will be analysed for the 200-day growth EBV. 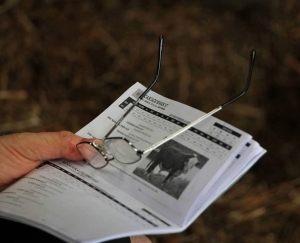 Suggested weigh dates, for your individual herd are printed on your Performance Sheets sent from the Association. 400-day weights can be taken between 301 and 500 days of age. Any weights taken between these days will be analysed for the 400-day growth EBV. 400-day weights should be combined with the scanning of bulls for EMA and rib and rump fat scanning, as well as the taking of scrotal measurements. THIS IS THE BEST TIME TO MEASURE THESE PARTICULAR TRIATS FOR OPTIMUM SCAN EBV’S. 600-Day weights can be taken between 501 and 900 days of age. Any weights taken between these days will be analysed for the 600-day growth EBV. 600-day weights should be combined with EMA and IMF scanning of heifers in particular. THIS IS THE BEST TIME TO MEASURE THESE TRIATS FOR OPTIMUM INTRAMUSCULAR FAT EBV’S. In the event of optimum weighing, not combining easily with, say optimum scanning – two 400 or 600 day weights can be submitted with different weigh dates. This will only add to the overall accuracy of the EBV.